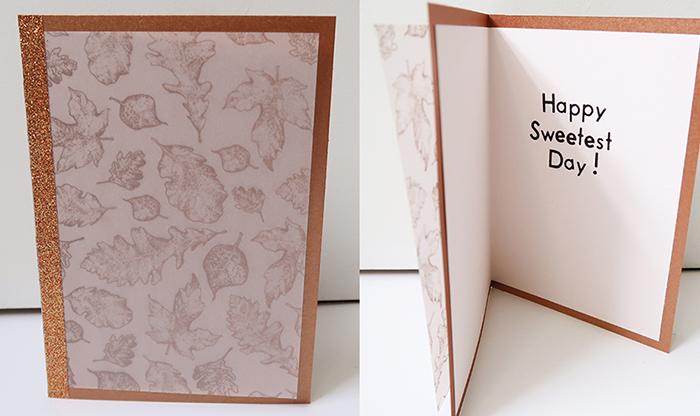 Today I’m sharing this Sweetest Day Card Tutorial! 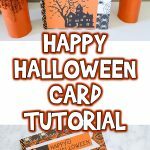 It’s a great holiday to celebrate between friends and family, so I created a card that fit in well with fall and works for whoever you want to give it to! 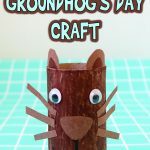 I love making cards because it’s economical and a really fun project. I once handmade over 200 invitations for a friend’s wedding. Sweetest Day is the third Saturday in October. It originally began as Candy Day, and was a holiday created by the Confectioner’s Association in the early 1900’s. It’s a day designed to give something sweet, like candy, to someone you care about. Here’s what you’ll need! Check out this greeting card craft based on the art of Matisse, too! Scrapbooking Paper. 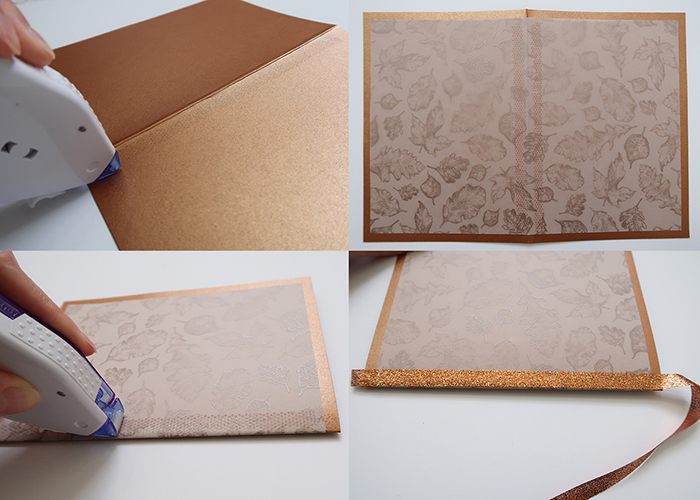 A main colored paper, a white or cream paper, and a translucent decorative paper called vellum. 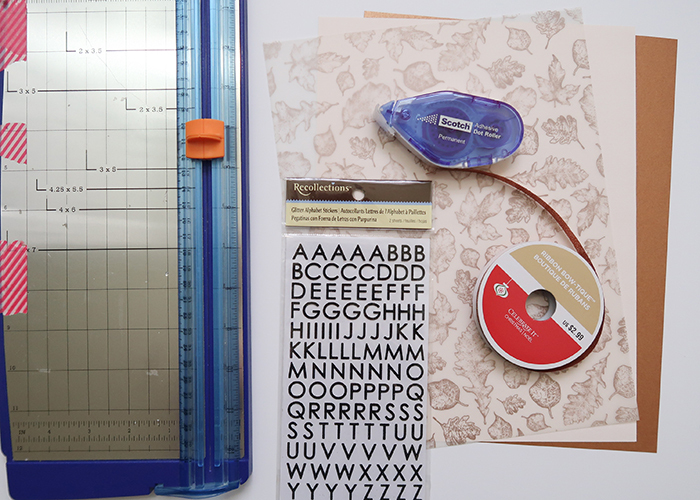 Paper cutter or scissors and a ruler. 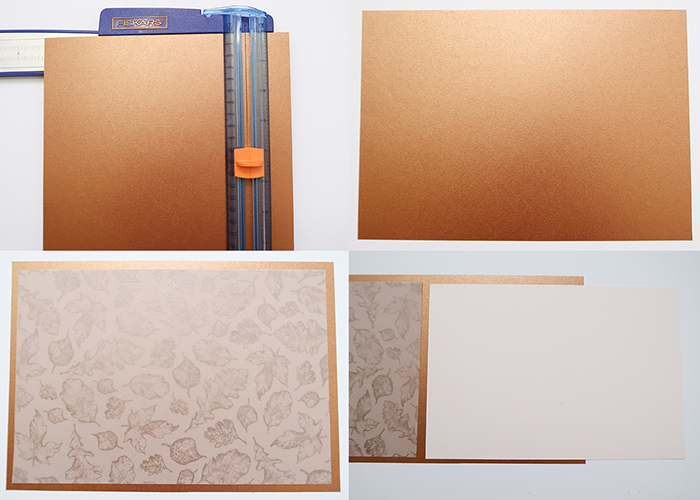 Start by cutting your main paper (mine is a copper metallic) to 7 inches tall by 10 inches wide. This will make a 5×7 inch card. 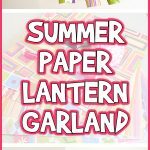 Cut your translucent paper and your cream paper to 6.5 inches tall by 9.5 inches wide. 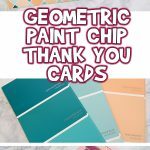 This will leave a 1/4 inch border on your card that looks very professional. On the back of your cream paper, run adhesive all around the outside edge, and make little dashes all over the inside. Flip it over, and center it on your copper paper. Press down firmly. This is the inside of your card. Find the center of your card, and fold it in half and crease it well. Open it back up, and flip it over to the outside. Vellum is translucent, so adhesive shows through the paper unless you use an expensive specialty adhesive. But there’s an easy way around that! 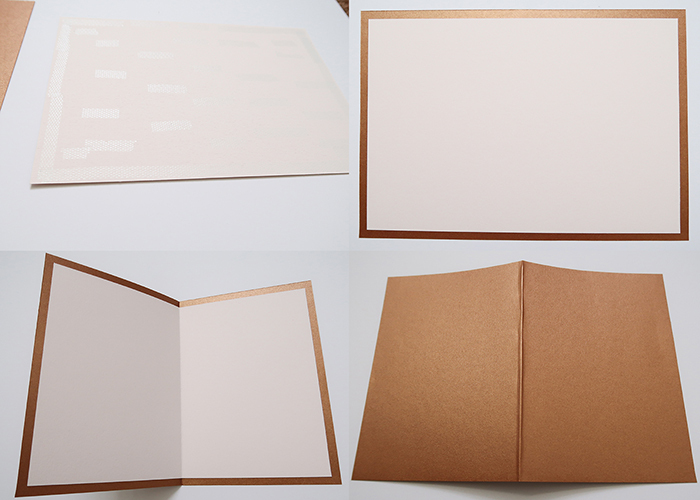 A lot of professional cards have loose vellum overlays, so that’s what we’re doing. Run a line of adhesive along either side of the spine of your card. Place the vellum down, making sure that it’s centered, and press down to adhere it. Now, run another line of adhesive right on top of the glue showing through your vellum. Then place your ribbon on top, covering the adhesive! Trim your ribbon at the ends, and don’t forget to add ribbon on the back half of the card too. 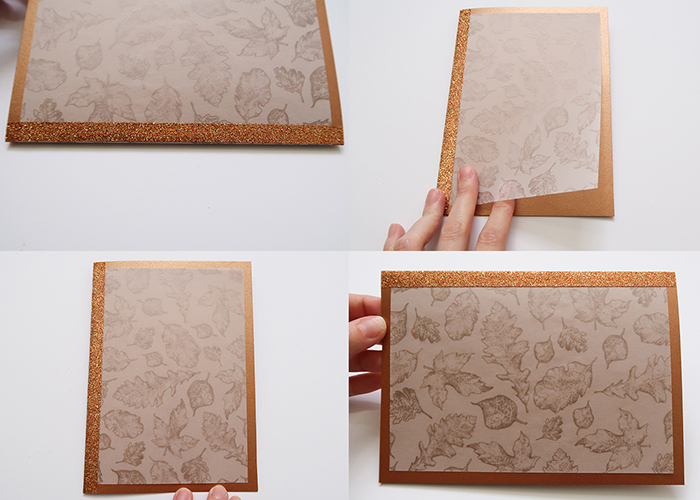 See how pretty the leaf printed vellum looks? 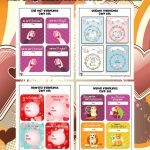 The other great thing about this card design is that from this point, you can choose whether you want to to be a vertical or horizontal card. 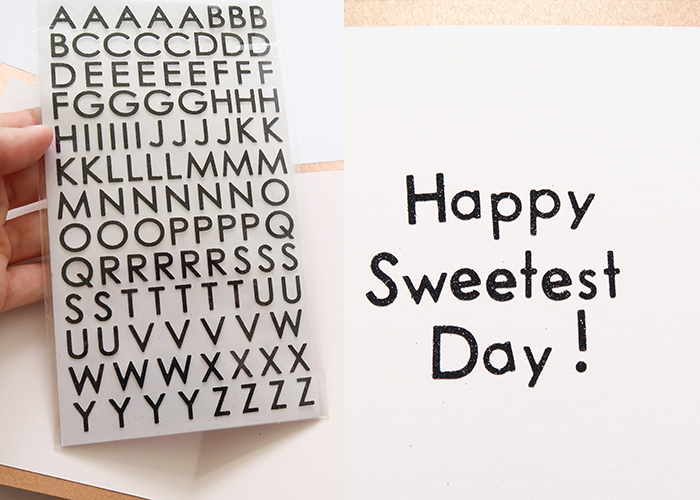 Now all you need to do is take your letter stickers and spell out your message on the inside! You’re all done! 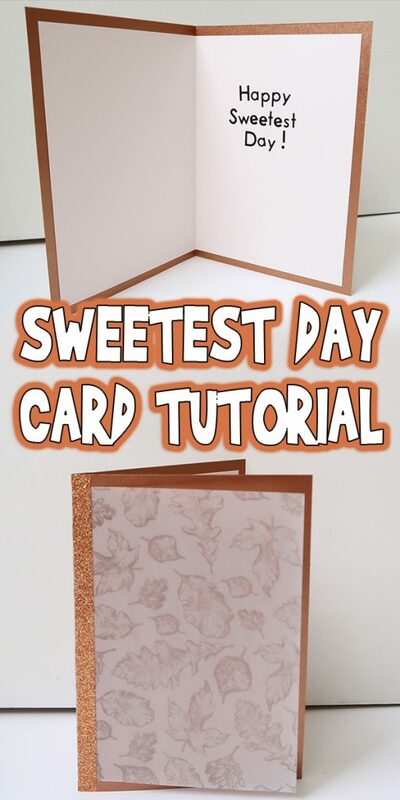 I hope you enjoyed this simple Sweetest Day Card Tutorial!